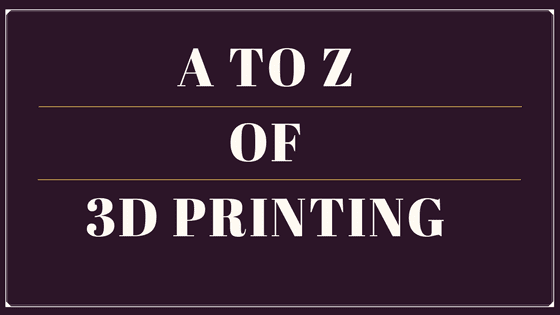 In this article, we provide a glossary of 3D printing terms and definitions that are commonly used in the world of 3D printing. Please note that this 3D printing glossary is provided for informational purposes only and numbers preside over alphabets. Based on the fact that the 3D printing industry is still evolving, new terms will be added to the glossary of 3D printing at regular intervals. A 3D Model is the CAD design of the object in a soft format. A machine which builds a solid object by adding successive layers on top of the previous layer. A 3D printer is capable of building complex geometries previously not possible. It is the process of adding material in a layer by layer fashion to form a solid object. The process is called printing as it is similar to regular printers apart from the fact that 3D printing occurs in three dimensions. 3D printing technology consists of a set of technologies operating on a similar principle of adding material in successive layers. Some common 3D printing technologies include FDM/FFF, SLA, DLP, SLS, DMLS, etc. A technology which captures digital data of the object. It is scanned via a device without any contact with the actual object. 3D Scans in combination with 3D printing play a crucial role in reverse engineering. Acetone is a chemical solvent used for two different functions in 3D printing (only in FFF 3D Printing). Firstly, acetone vapour is used to dissolve the surface of the print. This is also called as ‘Acetone Bath’. A small exposure to vapour can help smoothening the print layers on the part. Secondly, since ABS is prone to warping, it is recommended that the print bed be heated. In addition to this, a few small pieces of ABS material are mixed with acetone to form a sludge. This sludge is popularly called as ‘ABS Juice’. This sludge is sticky and prevents the ABS from warping while printing. Acrylonitrile Butadiene Styrene or ABS is one of the most commonly used thermoplastic material for 3D printing in an FFF (Fused Filament Fabrication) type of printer. It provides good strength and improved ductility than PLA and so it is preferred over PLA for rapid prototyping of end-use applications. However, ABS is prone to warping. As the name suggests, any product is manufactured by adding material. The material is added in the form of layers deposited in successive layers to build the complete product. So, Additive Manufacturing is the technology that builds 3D objects by successively adding layer of materials (plastic, metal, ceramic, bio-ink, concrete, etc.) one over the other in perfect geometry to ultimately create the solid object. Read our article on basics of additive manufacturing to know more about this technology. It is a 3D printing technology used to print large and complex parts in industrial-grade materials. It uses a binding agent and material in powdered form. The liquid binder acts as a binding agent to the powdered layers of the material. The print head moves horizontally along the X-Y direction depositing the binder while the bed which holds the powdered material moves in Z-direction. After successive layers, the object is completely printed and is supported by the surrounding powder. Read our article how binder Jetting works to know how this technology works. Bioprinting is three-dimensional printing of artificial tissues in an additive layer-by-layer process. The printing material is developed from existing cellular building blocks also called as bio-ink. This bio-ink is then printed in a layer-by-layer process in a bio-inert hydrogel which acts as a support and as a filler for void spaces to accurately mimic the feature of tissues. A brim is a modified type of skirt. It is similar to a skirt but it is attached to the outer surface of the object on its first layer. It is similar to the brim of a hat. It serves the purpose of increasing the surface area of the print thus avoiding warping or the layers at the corners. Since it is connected only to the first layer, the brim can be easily removed after printing. Build Plate, also called as ‘Build Platform’ or ‘Print Bed’ is the plate on which the extruder deposits the material in successive layers to form the object. In case of resin printing, the build platform is dipped in resin and it moves in the Z-direction as the cured material sticks to it. These are the most common type of 3D printers. 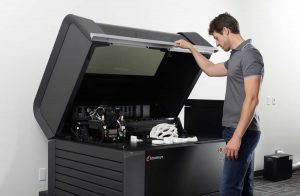 Cartesian refers to the co-ordinate system used by the printer to move the print head and the build plate. In these printers, there are three rails corresponding to each axis (X, Y, & Z). With the help of motors these rails guide the print head and the build plate to move as per the geometry of the model and print the object. It is relatively easy to build a Cartesian type of printer. Ultimaker 3D printers are good examples of Cartesian Printers. 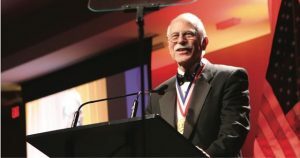 Charles (‘Chuck’) Hull, an American Engineer, invented the Stereolithography Apparatus (SLA) and even patented the technology in 1984. He is also known as the father of 3D printing. He is the co-founder of 3D Systems, one of the largest 3D printing companies in the world. Computer Aided Design (CAD) is the use of computer to create, modify and optimise the designs. A CAD file is the most essential requirements of 3D printing without which the process cannot proceed. Autodesk Inventor, Catia, SolidWorks, Fusion360 (free cloud-based CAD software), etc. Curing is a term specifically used in resin 3D printing like in case of SLA and DLP printing. In resin printing, the liquid resin is photosensitive and hardens when exposed to UV light. This process of selective exposing the resin to UV light and hardening it is called as curing. Danit Peleg is an Israeli fashion designer who created the world’s first customisable 3D printed jacket. It was launched in 2017 and was available for sale in limited quantities. 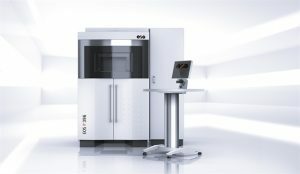 These are the second most common types of desktop FDM 3D printers currently available. Delta printers refers to the co-ordinate system used by the printer to move the print head and the build plate. In these printers, there are three vertical rails, and each rail has an arm connected to the print head. These are slide up and down independent of each other to print the part. The most important advantage of Delta Printers is that they can print tall objects. Digital Light Processing is an additive manufacturing technology which uses a light source to cure a photopolymer liquid resin to build an object. The process is closely similar to SLA 3D printing technology. 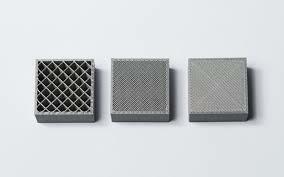 Direct Metal Laser Sintering is an additive manufacturing technology for 3D printing of Metals. It is the most effective method to 3D print various types of metal materials. It is basically sintering, i.e. the laser selectively fuses the metal powdered particles together without heating it to its melting point. It is a UK based company which deals with providing toolkits for 3D Printing like hot-ends, nozzles, extruders, filaments and even printer parts. 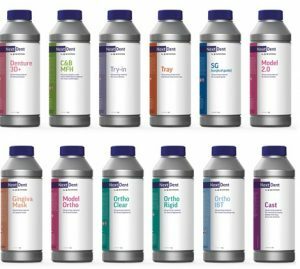 This Pittsburgh based company is a technology leader for industrial grade additive manufacturing. It provides 3D printers, 3D printing services, and related industrial services in various sectors and applications. The process of pushing the heated plastic filament through the print nozzle to deposit the melted material onto the build platform in the desired geometry in successive layers. Extrusion printers are most commonly known to everyone as FDM for Fused Deposition Modelling or FFF for Fused Filament Fabrication. Fused Deposition Modelling (FDM) or Fused Filament Fabrication (FFF) is the same technology with similar process and usage. The only difference is that Stratasys Inc. had trademarked FDM and as a result the makers of the RepRap Community popularised the name Fused Filament Fabrication (FFF) so the community could discuss about the technology without infringing the trademark. But even after the expiry of the trademark, the use of Fused Filament Fabrication is still prevalent. The FDM/FFF technology uses plastic material in the form of a filament. 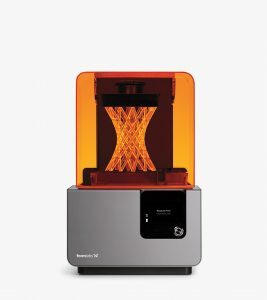 This filament the pushed through the print head where it is heated to its melting point and the melted material is deposited onto the build platform in the desired geometry as per the model to be created. The Print head generally moves in the X-Y direction and the Build platform moves in the Z direction for Cartesian type of printers. 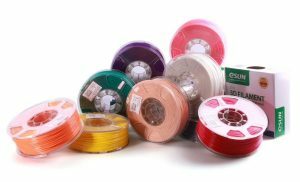 Above: 3D Printing Filament/Image Credit: Shenzhen Esun Industrial Co., Ltd. The material used in FDM/FFF 3D printing is called as a filament. The standard diameters for filaments are 1.75mm and 3mm. Many types of filaments are available for 3D printing with varying properties like strength, density, flexibility, etc. Most commonly used materials are ABS, PLA, Pet-G, Polycarbonate, Nylon, Glow-in-the-Dark, Carbon Fibre, HIPS, PVA, etc. G-Codes are the Geometric Codes used in a CNC program. Since 3D printing also works on the CNC principle, g-codes are also important in 3D printing. These codes tell the tool to perform certain actions like rapid movement, AutoBed levelling, set extruder to absolute mode, move X/Y/Z to min endstops, etc. It is the temperature at which the thermoset polymer material transitions from a hard & glossy material to a soft, rubbery material. It is important to know this temperature to make material decisions for specific applications. The nature of the material at room temperature will help determine the correct material for the application. 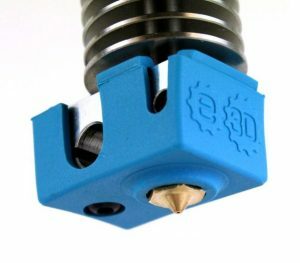 Hot End is commonly confused with extruders. It should be noted that an extruder is a ‘cold end’ because the filament is cold when it passes through the extruder. The Hot End is the part where the filament is actually melted. The heat sink, cooling fan and the nozzle form part of the hot end. In simple terms, Infill is the internal structure of the print. It can be completely hollow or fully filled with material or anything in between depending on the requirement of the final product properties. 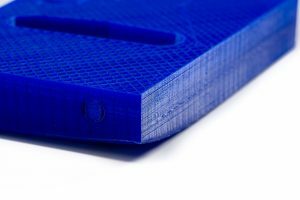 Normally, FDM prints are typically printed with 20% infill density. 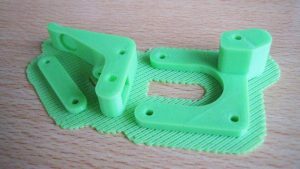 Open source slicing softwares like Cura and Slic3r offer varied types of infill patterns which offer better strength even in low density prints. Honeycomb is the most popular pattern which offers a good strength to the prints. 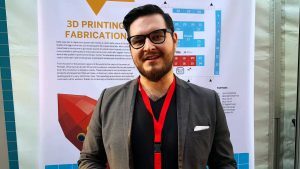 Josef Prusa is the CEO and founder of Prusa Research. He is the core RepRap developer and the one who launched the RepRap movement which resulted in emergence of Open Source FDM printers and concerned softwares. The open source nature of the project has helped millions of enthusiasts and led to new variants of 3D Printers produced by individuals and companies across the world. Prusa i3, an FDM printer, was designed and developed by Josef Prusa in 2012. The latest version named Prusa i3 MK2S was released in 2017. Kapton tape is known for its thermal stability and was developed by DuPont for aerospace applications for electrical isolation. The RepRap community came up with a new application for this tape, as a bed surface for printing with ABS filament. The purpose of the tape is to provide added bed adhesion to the first layer of print. This is achieved by spreading ABS juice (read ‘Acetone’ from the glossary) on top of the tape. With the juice and heat of the bed (around 70oC-90oC) the first layer sticks to the bed surface thus avoiding warping issues usually faced while printing with ABS filament. Additionally, it also protect the bed surface from damage. Layer thickness is simply the layer height of each successive layer of material added. The layer thickness defines the resolution of the printer in the z-axis. FDM printers generally have a layer thickness of 100 microns. Marlin is an open-source 3D printer firmware developed for the RepRap project in 2011. Marlin is the most commonly used firmware and also adopted by many open-source 3D printer manufacturers like Ultimaker, Prusa Research, AlephObjects, etc. Metal printing refers to 3D printing of metals. Metal 3D printing is achieved by DMLS, SLM, EBM, binder jetting and even recently some FDM technologies. Modelling is simply the use of computer systems to create, modify, analyse and optimise a 3D design in a soft format. Modelling is used to build accurate 3D models of required two-dimensional designs and later saved in relevant formats for forwarding it to the printing process. General modelling and modelling for 3D printing are fairly different as some issues like watertight model, optimum wall thickness, understanding the 3D printing technology to be used, etc. Nozzle forms a part of the Hot-end assembly. It is the end part which extrudes the molten filament onto the build platform. There are various types and qualities of nozzle and the choice is dependent on the materials to be extruded. Some of the most widely known nozzles are Stainless Steel, Brass & Olsson Ruby nozzle. Nozzles are used only in FDM/FFF 3D printing. Nylon is a common 3D printing material used mainly in SLS technology in a powdered form. Nylon offers several benefits for 3D printing like strength, durability, high impact and abrasion resistance. It is suitable for printing of functional parts. However, it is highly hygroscopic and therefore be stored with adequate precautions. OBJ is a 3D file format widely used in 3D printing after the most common STL file. OBJ is considered more complex than an STL file since it also captures information related to colour, texture and some other properties. Generally, full-colour models like figurines and 3D selfies use OBJ files. On-Demand manufacturing is a new process of manufacturing wherein the goods are manufactured as and when they are required by the customer and not before-hand as in the case of traditional manufacturing methods. 3D printing has boosted this concept and offers the perfect solution by enabling faster production on time without any significant investment. PEEK or PolyarylEtherEtherKetone is one of the costliest material available in plastic 3D printing. It has superlative properties like excellent mechanical properties at high temperatures, phenomenal electrical, wear, chemical, and temperature resistance, flame retardant, very high durability & impact strength, etc. This unique nature enables PEEK to be used in multiple industries like aerospace, medical, automotive, oil and gas industry, etc. However, PEEK is not easy to handle. PEEK requires extremely high printing temperatures in the range of 350oC to 450oC with a 120oC heated bed. It is advisable to dry the PEEK material before printing. It is not as hygroscopic as nylon but the due to the cost it is preferable to dry the material and use to ensure good print quality. It is recommended that PEEK material should be printed on a PEI sheet which gives the best results. Photopolymers are the light-sensitive plastic materials used in resin 3D printers. These materials are in liquid state and on exposure to light, they are hardened (cured) to form the 3D object. Polyjet technology is a direct 3D printing technique. It was patented by Object but after its merger with Stratasys, the patent is owned by Stratasys. Polyjet is a 3D printing technology which produces extremely smooth and dimensionally accurate parts with microscopic layer resolution of 0.1 mm. This technology is able to print with the widest range of materials available for any other technology. Polylactic Acid (PLA) is one of the most commonly used FFF 3D printing filament. It is made from plant-based starch and are generally food-safe, they can easily bio-degrade and they do not give out toxic fumes like ABS. It is the speed with which the printing takes place. The print speed can be controlled by using the slicing softwares. A prototype is the first basic version of a final object generally manufactured to preliminarily test various parameters like shape, form, colour, texture, dimension, functionality, etc. A prototype helps to iterate the designs and correct any shortcomings in the final product. Qlone is a free iOS App based scanning software which lets you scan real-world objects with your mobile. The scanned models can be exported in multiple formats like OBJ, STL, PLY, X3D. The best part is that the models can be directly uploaded to sites like Sketchfab, i.materialise or Shapeways and even social media sites like Instagram and Facebook for sharing or printing. The scanning is free but exporting the models is chargeable. A raft is a thin sheet of grid printed on the build plate. The part to be 3D printed is printed on top of this grid instead of directly on the build plate. Rafts are specifically useful while printing with ABS to avoid warping issues. It gives extra surface area for the print to stick to the plate. Techniques used to rapidly manufacture a prototype is called as rapid prototyping. 3D printing was specifically developed to be the technology to rapidly manufacture prototypes so it can help faster iterations and faster modifications and less rejections in the final product. RepRap is short for Replicating Rapid-prototyper. During the mid-2000s, University of Bath, England started a project called as the RepRap Project to develop a low cost 3D printer which could replicate itself, i.e., print its own components. The RepRap project as an open source project and all of its designs are released under a free software license. Over the years it has expanded to form a big community. The photopolymer materials used in 3D printing technologies like SLA and DLP are called as Resins. Selective Laser Sintering (SLS) is a powder bed fusion 3D printing technology. Material is used in a powdered form which is melted at a particle level with a powerful laser to fuse adjacent particles to form a geometry of the specific layer. The process is repeated for each layer till the final object is printed. Shapeways, is a Dutch-founded, US-based Startup company. It is a marketplace for 3D printing services. Designs are uploaded by users (for personal or commercial use), manufactured and delivered by Shapeways and both the respective user and Shapeways earn from the same. A skirt is an outline printed around the model but not connected to the model. The skirt is printed before the actual printing starts. This serves two purposes, first, it enables priming of the extruder to ensure that material has a smooth flow and second, it is a check before the printing whether the material is sticking to the build plate or not. This can signal the possible causes like bed adhesion, bed levelling, nozzle and bed distance, etc. Slicing is the process of dividing a CAD model into subsequent slices or layers of two-dimensional geometry and converting the CAD model into 3D printer readable format. The sliced model is saved in a G-Code (Geometric Code) format. The 3D printer reads the geometric codes and prints as per the geometry. Stereolithography (SLA) is the world’s first patented 3D printing technology. These printers use a UV laser which is flashed on the resin contained in a tank. On exposure to UV light, the resin hardens. The hardened resin is built up layer by layer to form the final object. STL is short for Stereolithography. A CAD design saved in STL file format is easily readable by relevant slicing softwares used in 3D printing. An STL file only contains surface geometry information and does not store other properties like colour and texture. It is the most commonly accepted file format used in 3D printing. Stratasys, Ltd. is one of the leading manufacturers of 3D printers and 3D production systems for direct digital manufacturing solutions. They are owners of a number of subsidiary companies and brands like MakerBot, Solidscape and GrabCAD (Online community of students, engineers, designers, and manufacturers for sharing of ideas and CAD models). In FDM printing, the support materials are mainly different that the print material. This helps in saving critical material as the support materials are of no use to the final part. The common support materials are PVA and HIPS. In 3D printing, the printing occurs in a layer by layer fashion and the basic premise is that the previous layer of print serves as a base for every successive layer to be printed. 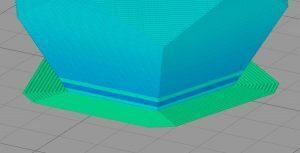 But while printing severe overhangs the previous layer is absent for the most part and in such cases the printer creates supports and prints the layer on top of this support considering these supports as the base. These are called as support structures and which can be printed in different patterns. Thermoplastic materials are used in FDM/FFF 3D printing. These materials are used in a filament form which are melted during the printing process. These materials can be remelted into a liquid multiple times. Common Examples are PLA, ABS, HIPS, PA, TPE, etc. Thermoplastic materials are used in SLA & DLP 3D printing. These materials are used in a liquid resin form which are hardened on exposure to a UV laser during the printing process. These are also called a Photopolymers as they react to light. These materials form irreversible chemical bonds on application of strong UV light as a result once an object is formed, it cannot be melted back to a resin form. Thingiverse is arguably the world’s largest 3D printing community and an intrinsic part of MakerBot. It is basically a design community for discovering, making, and sharing 3D printable things. Topology optimization literally means to optimise the topolgy of the design while keeping the strength and functionality of the design intact. It simply removes the excess material in a design without affecting the properties and functionality of the product to be manufactured. 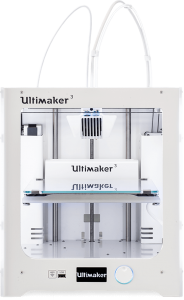 Ultimaker is a Dutch 3D printer manufacturing company founded in 2011. It started out as open-source 3D printer manufacturer and then it expanded to build their own open-source slicing software Cura. 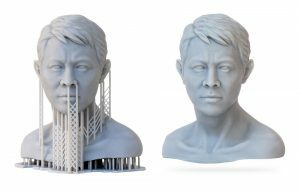 The Ultimaker 3 Extended is named the Best Prosumer 3D printer for 2018. UV Light is used in the 3D printing process in case of resin printers. The photopolymers used in resin printers are cured (hardened) on exposure to UV light to form the final object. A vat is a container which holds the resin in case of resin 3D printing technologies like SLA and DLP. A Voxel is simply a pixel with a volume & sometimes also called as a Volume Pixel. A voxel represents a three-dimensional space on a regular grid. It represents the tiniest element in a three dimensional object. Each individual voxel stores their relative location based on the position of the nearby voxels. They do not store absolute axis co-ordinates. They have the ability to store information related to the colour, opacity, density, etc. Warping is a phenomena occurring while 3D printing with certain materials. This generally occurs while printing with ABS. Warping basically is the thermal contraction of material as it cools down. Warping causes the corners of print to lose contact with the build platform and expose a gap between the print and the platform. This results in a failed print. It can be avoided by using a heat bed and keeping the first layer of the print hot so it remains stuck to the bed. Watertight models are those which are completely solid. In simple words, if the model were to be filled with water, then the water should not leak through the model. This is a watertight model. In other words, the model must not have holes. This may happen due to non-connection of edges and a line or a plane does not have dimensions in any of the three coordinates. Such models are non-printable. It is the horizontal axis of a coordinate system. In most of the FDM 3D printers, the extruder moves in the X-axis. In 3D printing, the X-axis represents the horizontal right-left movement. It is the vertical axis of a coordinate system. In most of the FDM 3D printers, the extruder moves in the Y-axis. In 3D printing, the Y-axis represents the horizontal front-back movement. In a coordinate system, the Z-axis is also oriented in a vertical position. In most of the FDM 3D printers, the bed moves in the Z-axis. 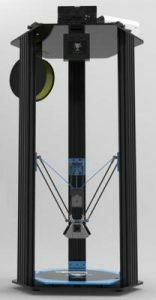 In 3D printing, the Z-axis represents the vertical up-down movement. About Manufactur3D Magazine: Manufactur3D is an online magazine on 3D Printing. We offer 3D printing news, insights and analysis as well as 3D printing information for beginners and enthusiasts. To stay up-to-date about the latest happenings in the 3D printing world, like us on Facebook or follow us on Google+. How Stereolithography (SLA) 3D Printing Works?